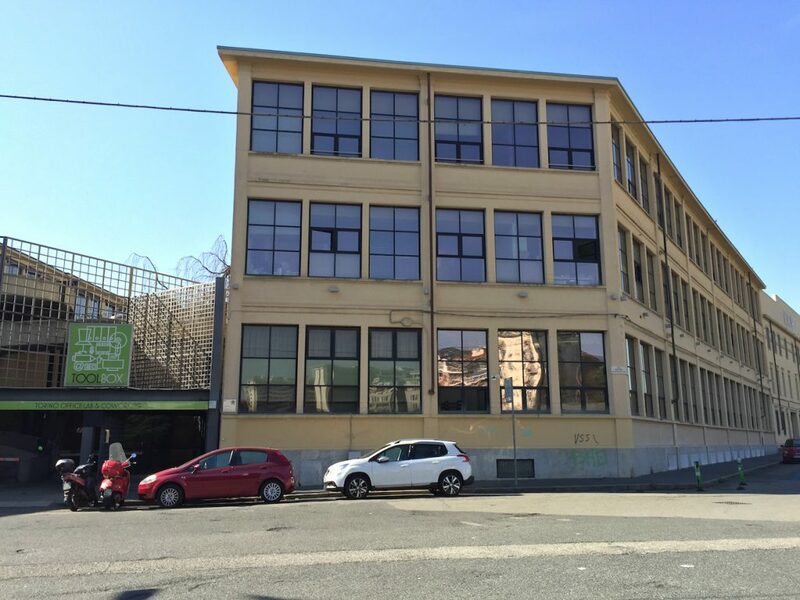 Toolbox was established in 2010 in an industrial zone of Turin. 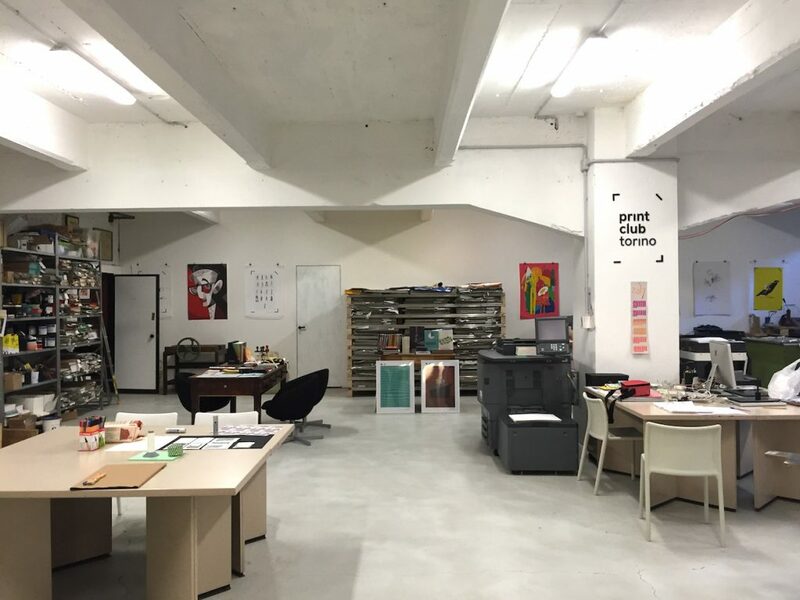 In the city’s postindustrial search for new identity and new jobs, Toolbox emerged as a new workspace for the maker scene as well as for the field of digital economy, by bringing together many emerging initiatives from these fields. The experiment of turning a functionless building into a space for events and innovation was facilitated by the family owning the building and willing to take on more risk than the institutional owners of the industrial complexes around. What brought to life this space? 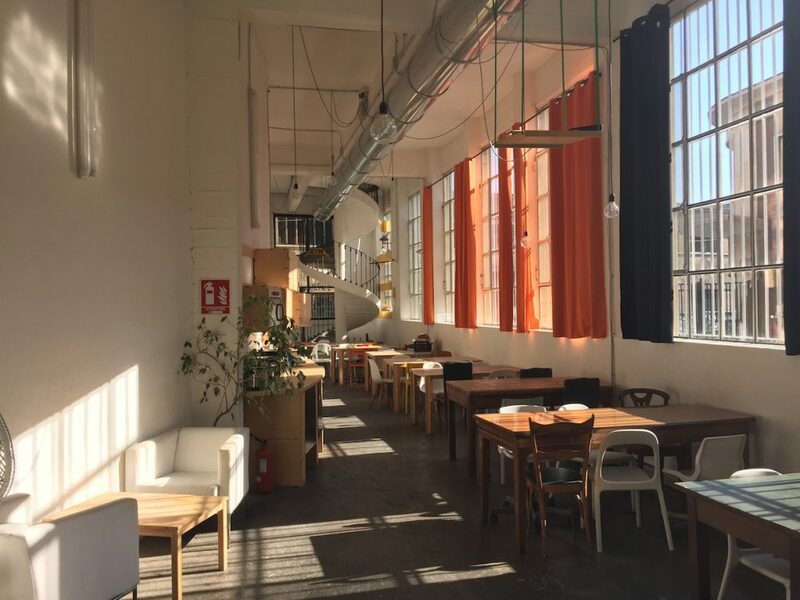 This space was born in 2010 with the aim to give a function to this old, 10.000-square meter industrial building which had remained empty between 2008 and 2009. The surrounding, mostly empty industrial area measuring approximately 40-45.000 square meters – a kind of industrial corpse that embraces us – was to become a huge urban revitalisation project… or real estate bubble comprising 25.000 square meters of residential area, 15.000 square meters for commercial purposes and a new campus for the European Institute of Design complete with a student residence. While most of the whole complex belongs to a monetary fund, this building belongs to one family and once emptied it was only producing property costs. I was asked to propose a future function for this building that borders residential zones without making it go through a radical transformation. I started to think about a co-working space, a trend that had just started to spread in the US back then. We started to analyse the surrounding environment, and considering the big crisis, the rise of people holding a VAT number, the rise of sharing economy, new professions and the ever-growing trend of outsourcing – we tried to take the first step. We established the first Italian space entirely dedicated to co-working, drastically minimising private spaces and maximising public areas. I found it very inspiring to see that for the first time in history so many people working in so many different fields all basically used computers as a primary tool, so I tried to mix work cultures and see what would happen. How did the concept of the space evolve with time? We opened on 8 April 2010, and at the beginning it was not all clear in our mind – we did not exactly know what could happen, but we knew that at least the physical space was ours, so we moved in one vague direction, maybe believing in the magic of serendipity. We started with a plain and simple co-working area. 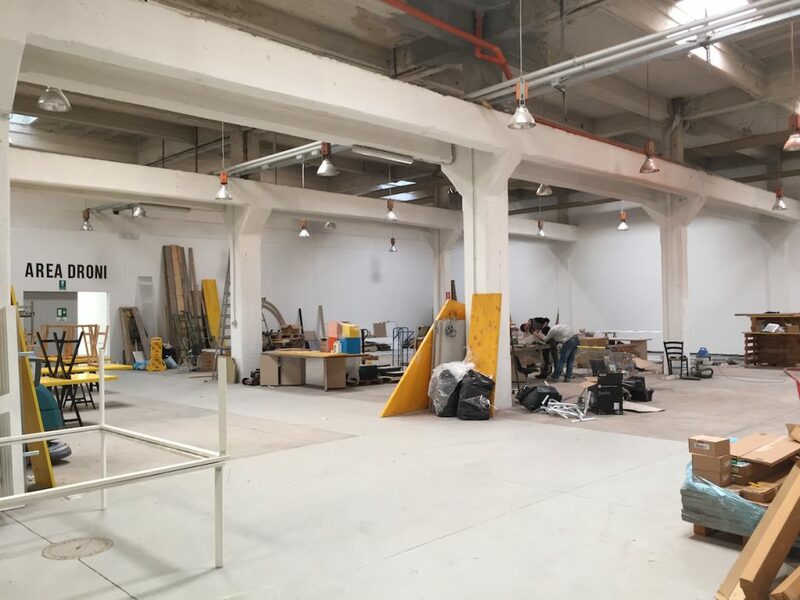 Soon after that we started to get requests for the construction of team rooms, and then I met the people from FabLab Torino, the people from the Print Club and they moved in. By “moved in” I mean that we had a lot of spaces to renovate, and we decided to renovate some areas and to host them there, for free. At that time we were using only 1.000 square meters out of 10.000. How much economic pressure did you have when conceiving the different uses of the building? To understand the investment aspect of this situation, we should consider that the economic process of dematerialisation of physical values also hit the value of real estate. If you are the owner of an abandoned building that can cost you up to 100.000€ a year only in property taxes, you might want to take a risk and try some new way. We have all been raised to think that owning property would prevent you from risks, but right now it is exactly owners who risk big time! So, you better take a risk but at least try to survive. In this particular case, the company actually had to invest new money on the project. Who would ever invest in a place like this right now? Look around, big investments are not in this area, and even if it were possible to take investments based on a future “rebirth” of the area it would still take long time. So, if the situation is risky anyway, then let’s risk by taking smaller steps, say, 3-year investment plans, which are difficult to propose outside the company. So we started on our own investment plan. How was this concept born and negotiated with the owners? The building is owned by a family, and they own the company that runs this project, which I designed. And they trust me as CEO and project manager. It is three brothers who basically did not have many other choice; only one of them works a bit on this project. He was initially just experimenting, and maybe he was hoping the project would have found other ways so he was being very cautious, but then the project became what it is now – and it works. Is the present use of the building endangered by the prospect of a large tenant coming and taking over? I do not think it is a possible scenario at the moment: I do not know if a large tenant could cover all the necessary renovation expenses to host such a huge retail store. A new ventilation system would be needed even if, say, Google came here and established an office – that would cost at least 150.000€. But if we take an honest look at the present situation, this is the best way we could use this building. In some situations, traditional business approaches just do not work. Have you seen the difference between the surrounding area and this place? This place is visionary: I personally do not think that other kinds of activity would work here now. That being said, it is still an adventure – most of the rentals we manage are month-to-month, and even if we are 95% booked most of the time, keeping up the pace is very demanding. However, we are a unique example both in Italy and in Europe, and even if we do not make millions our profitability is good and in line with similar experiments. How did you start to implement the concept? After the first excellent project of the physical layout realised with the architect Caterina Tiazzoldi that concerned about 1000 square meters of the current 8000 square meters, our main objective was to create sense and meaning capable of aggregating a community of people around the themes of innovation and sharing economy. We organised events about innovation and presented activities such as the first FabLab and the first Print Club in Italy, we basically created an organic, local group that grew step by step according to need, expanding the structure. 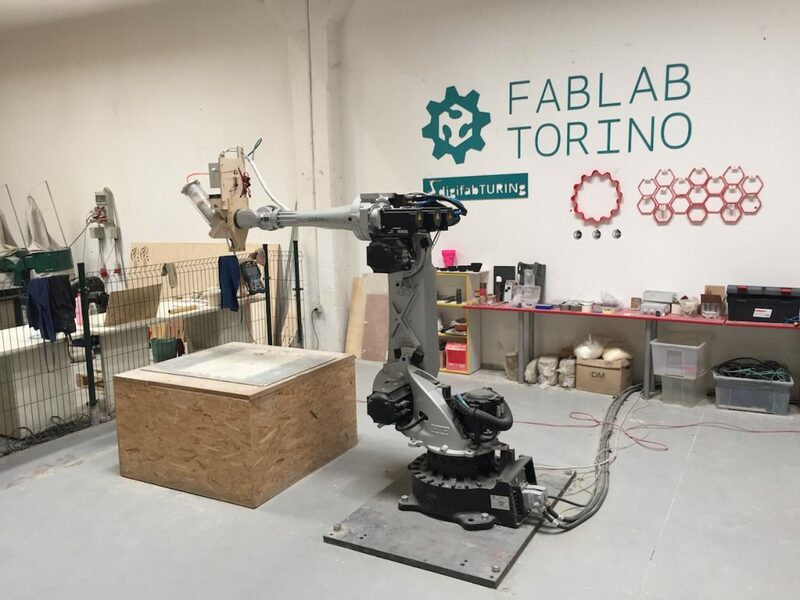 This way, startups like FabLab and Print Club were born, and basically the Italian headquarters of Arduino are also here, even though they have grown global. We have an ongoing collaboration with them called Casa Jasmina, which is an “open source connected apartment”, an IoT lab. Casa Jasmina basically tries to make IoT liveable and less “cold.” And then there is also a robotics lab experimenting on visual arts, architecture and design called digifabTURINg. They made it here via an open call. These are all projects that would not be able to sustain themselves at the moment, but thanks to a free rent they can exist. How do you select your tenants? The approach here is bottom-up. 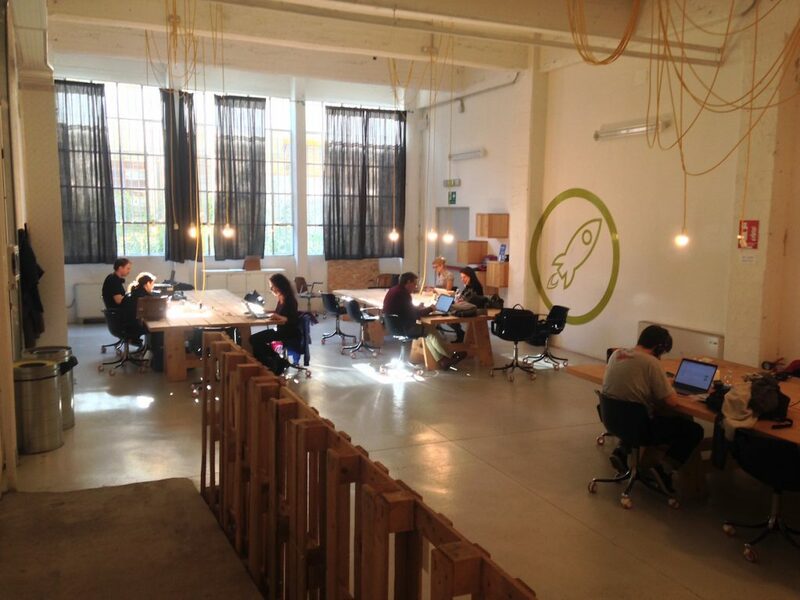 Co-working exists thanks to freelancers who get together and discover positive social and business dynamics while working in such environment. Therefore, a selection process is simply wrong, it will not work. The most important thing here is to be curious and interested in looking for new opportunities – which is why many big companies send people to work in these spaces. All those co-working areas selecting their renters are simply ridiculous, because a renter comes here and pays for a desk – something that they already have. They do not surely rent a co-working space for the desk, they come to enhance their activity thanks to the surrounding working community, and that is already the “selection process” itself. Besides, we usually manage to host all our renters. Our contract states that if by the 20th day of the month a renter does not extend the duration of their rental, their place will be considered free and available for someone else, so to avoid any path-dependence. The community and the environment do the rest of the “selection process”. A focused and respectful environment will attract like-minded people. And if somebody does not like the place, they can just leave. Last but not least, the fact that people can decide how long they want to work here on a month-to-month basis makes everybody happy to stay. It gives them an energy that other places do not give them. We do not even have rigid guidelines to follow – it is rather a cultural approach that welcomes everyone. This is a genuine place where free people work, and this is actually why they stay. Who are actually the people who work here? At the moment, we have 150 VAT number holders paying for their rent. Most of them are individual freelancers, but there are also larger businesses counting up to 20 people. Then there are 4 professional communities: FabLab, Print Club, Casa Jasmina and digifabTURINg. These four entities are not paying rent. We are doing business, and we use part of the profit for cultural purposes. We have organised 100 events during the last 3 months. A project like ours needs to host events and produce innovation in order to call for more innovation, inspiration and also in order to attract more people who would like to come here and work in a stimulating environment. We need stimuli and multidisciplinarity. Innovation today is horizontal and you can achieve it surpassing trade-offs and mixing traditional contraries such as maths and Italian, arts and science, business and culture. Many people struggle to grasp these aspects of innovation. Maybe it is time we learn how to create new business models able to permeate with more cultural aspects. Is the cultural world reluctant towards the business world in Turin? Very much indeed, because commerce is just commerce! Yet it is growing more and more difficult to keep the two separated. Moreover, I think that this separation also affects social innovation. Social innovation also comes with innovation at work, and we are bringing some ourselves. Just one example: we have about 40 people who come and work here paying only 100€ per month for a non-reserved seat (which could change day by day). Renting out desks is one of the most stupid things you could ever do, because everybody has a desk. The difference is what surrounds the desk. It is what I call the cultural software, made of community and stimuli. What we try to do here is this – bringing the cultural software. And this is why we are continuously creating events. Sometimes there are also outsiders who rent out a conference room for a presentation, but in that case the event must also be akin to our philosophy and useful to our community so that we can promote it via our channels. We try to focus the topics of our presentations on innovation and other work-related subjects, so we also do not host art exhibitions. What is the role of events in your programme? We support and promote innovation through events, and we are surely the first ones in town doing something like this. We are an open structure for locals – the guys from Print Club organise Graphic Days, an international graphic design festival, inviting all the most prominent graphic designers from Turin, when FabLab organises the Maker Fair, makers from all over the area come here, we also cooperate with the Politecnico, so we are really open. I once made a Google map of the city with the addresses of all the people working here: we attract people from all over the city, we are not just a hub for the district. How do you collaborate with public institutions and strategic partners? In 2012, while participating in a European project called “My Generation at Work”, the Turinese partner organised their project presentation here, and since then the public sector has started to see us as an excellent example of regeneration. Other than that, when we organise the Maker Fair we ask for the Municipality’s patronage and they of course give it, but we have never received any funding. Moreover, they often come here to hold presentations… we give them conference rooms – for free. We are in very good terms with Incubatore Politecnico, and every 6 months they bring here StartuppaTO, a networking event for innovators presenting 100 start-ups from this area. Compagnia di San Paolo participated at the first Maker Fair with a small contribution in exchange for a presentation of a call for tender regarding innovation and culture, but there is no support coming from them. But then again, if some parts of the ecosystem work by themselves, it is fine, they do not need extra support. I am afraid that linking ourselves to strategic partners, especially the ones coming from the public sector, could actually play a restrictive role in our activity. Community, Economy, Turin , circular economy, co-working, community, data, design, digital transition, economy, education, network.